This guide describes how to edit the php.ini file on shared servers (Stellar and Stellar Plus plans, as well as old Value, Professional, and Ultimate plans). If your account is hosted on the Business server (Stellar Business or old Business SSD plans), use this guide. 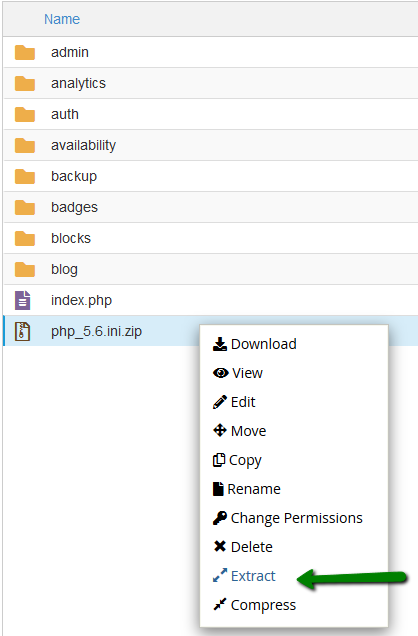 With the help of PHP Selector implemented on our Shared Hosting servers, you can easily modify basic PHP settings via your cPanel >> the Software section >> Select PHP Version menu. You can find detailed guidelines here. However, advanced PHP settings are missing from the Select PHP Version tool and must be manually configured in the php.ini file. 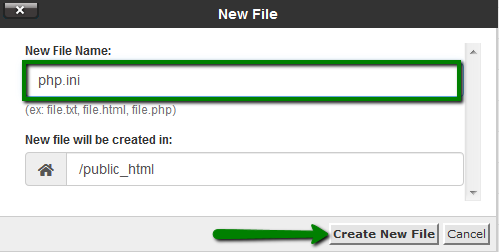 You can either create the file or upload the existing one to your account. 1. 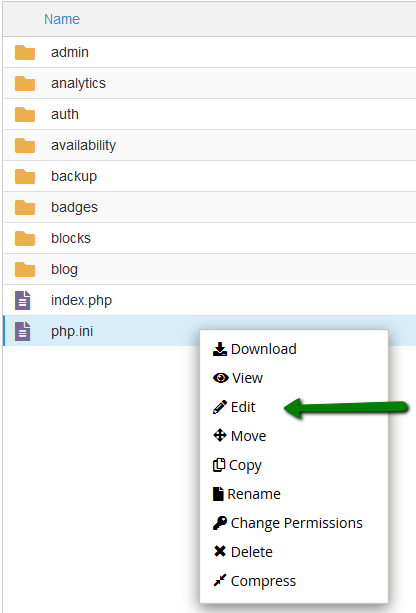 Log into your cPanel account, go to the Files section >> the File Manager menu. When all updates are completed, make sure to add lsapi_phpini directive. To check the current PHP version and configuration, refer to this article. If you wish to change values for the PHP settings (e.g., max_execution_time, memory_limit, post_max_size, upload_max_filesize, etc. ), you must reset the values in the Select PHP version menu. 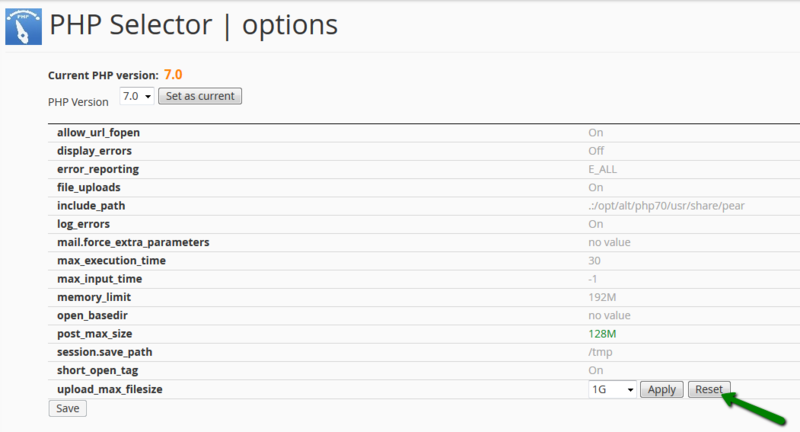 This way, it will be possible to overwrite PHP settings using php.ini. 1. Log into your cPanel account, go to Software section >> Select PHP version menu. 2. Navigate to the root directory of the domain name in question, upload the php.ini file that corresponds to your current PHP version. Feel free to download php.ini for different PHP versions below in the Attachments section at the end of the guide. 5. Here, you can use the search option and find the needed limit or value. In this example, it is upload_max_filesize. 6. Once all the required changes are made, click Save. In order for the php.ini to work, add lsapi_phpini directive. We welcome your comments, questions, corrections and additional information relating to this article. Your comments may take some time to appear. Please be aware that off-topic comments will be deleted. If you need specific help with your account, feel free to contact our Support Team. Thank you.